Product prices and availability are accurate as of 2019-04-21 16:54:29 UTC and are subject to change. Any price and availability information displayed on http://www.amazon.co.uk/ at the time of purchase will apply to the purchase of this product. 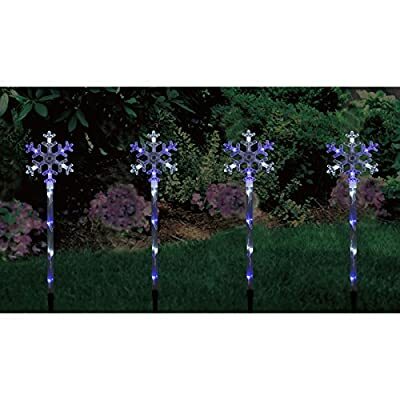 this set of 4 snowflake garden pathway lights. together by 1m long cables that then lead to a transformer.